FYI™ TV18 unveils two big ticket local productions today, focusing on relationships: Real 2 States Couples and Rivals-in-law. Hosted by bestselling author, and hugely popular local celebrity, Chetan Bhagat, Real 2 States Couples follows the travails of a cross-cultural couple in a relationship, trying to adjust to each other’s families. While Real 2 States Couples explores the relationship dynamics of a couple and their respective families before a wedding, Rivals-in-law highlights that of couple well into their marriage. The series, hosted by celebrity chef Vicky Ratnani, features a ‘cook-off’ between a daughter-in-law and her mother-in-law, with the husband as the judge. The launch of FYI™ TV18 was announced earlier this year at the APOS summit in Bali. It is the second channel from the A+E Networks | TV18 bouquet following the stellar success of its HISTORY™ TV18. Launched in 2011, HISTORY™ TV18 is a strong contender for the no. 1 position in the factual entertainment genre, riding on the success of blockbuster local productions like ‘OMG! Yeh Mera India’ and more recently ‘Man Vs Job’. 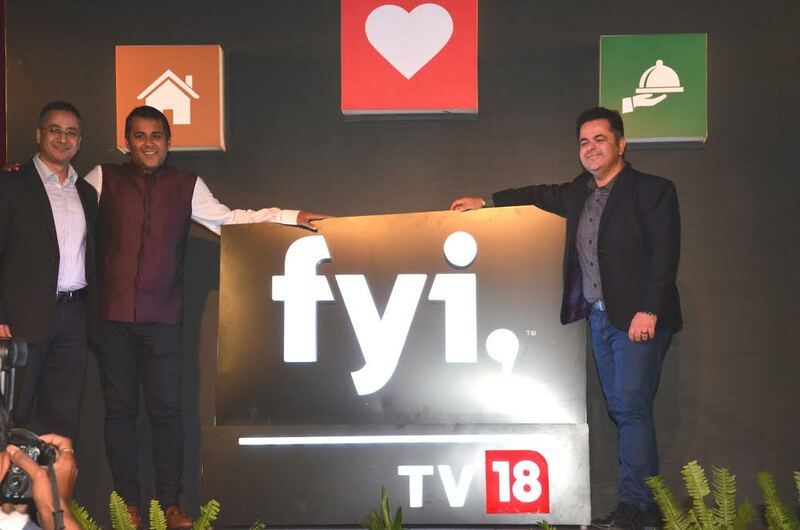 On the distribution front, FYI™ TV18 will leverage its partnership with IndiaCast, to ensure connectivity unmatched in the genre. The channel will be launched with a high-decibel marketing thrust over the next few days.